Only translations that are in translated/approved state will be used. 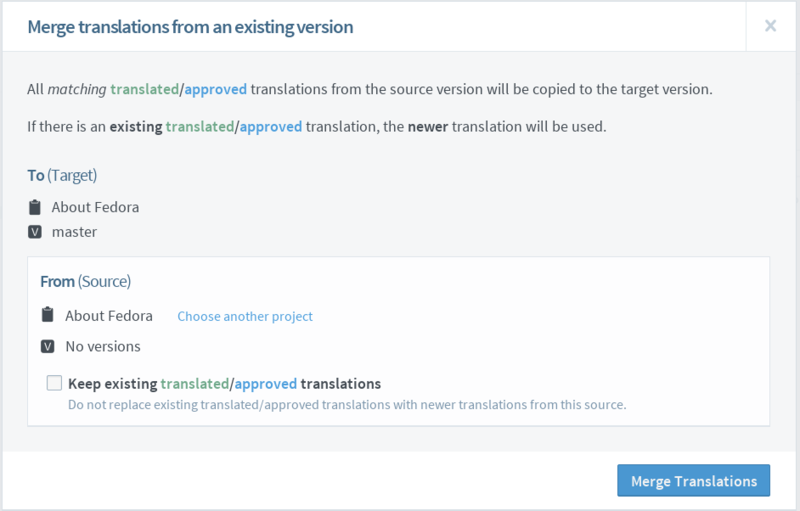 Merge translation can only be run if there are no other copy operations in progress for the selected version, such as copy-trans or copy version. Expand More Action menu on top right corner and click on Merge Translations. This action is only available if you are a maintainer of the project. In displayed dialog, select the project-version you wish to copy translations from. If you do not want to overwrite translated/approved translations, ensure that Keep existing translated/approved translations is checked. If this option is not checked, translated/approved translations will be replaced with newer translated/approved translations if they are available. The progress of the merge process is shown by a progress bar on the version page. Note: This will only stop additional translations being merged. Any translations that have already been merged will remain merged. 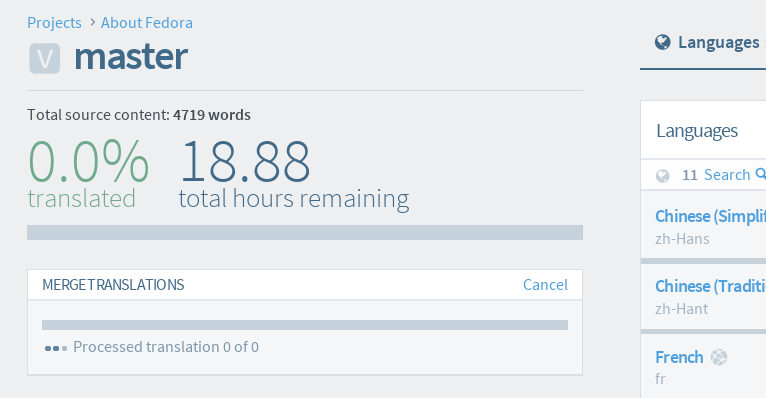 Go to the progress bar section in project version page. Click on the Cancel button on top right panel.